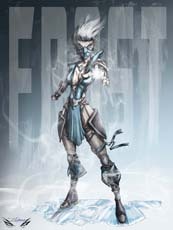 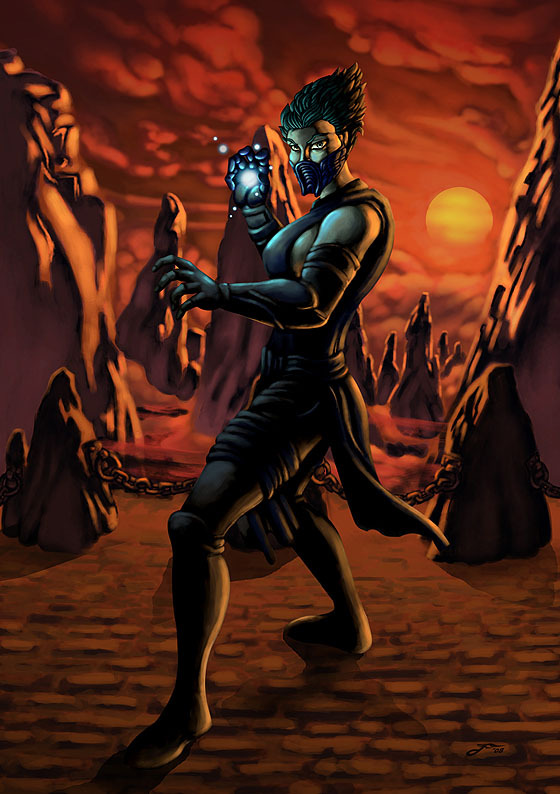 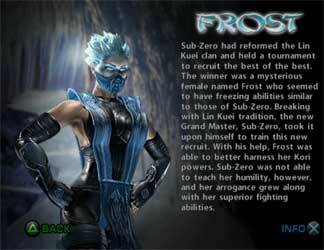 Frost is a character from the Mortal Kombat fighting games and debuted as an unlockable character in Mortal Kombat: Deadly Alliance (2002) she returned only in unplayable form in the sequel Mortal Kombat: Deception (2004) but was playable in the PSP port of the game called Mortal Kombat: Unchained (2005). 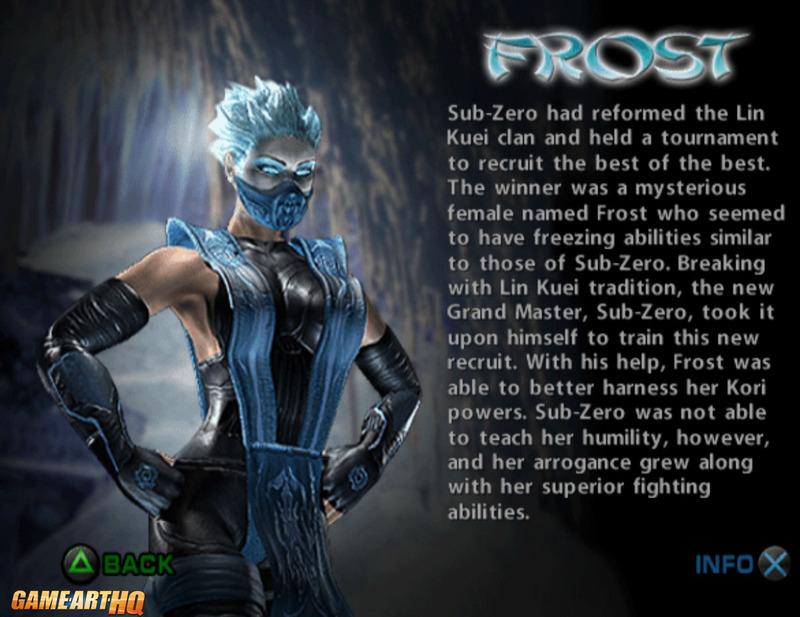 She returned also in Mortal Kombat Armageddon (2006), a game which combined all previously playable MK characters. 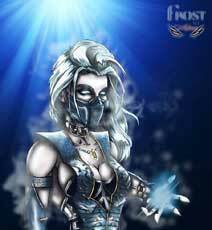 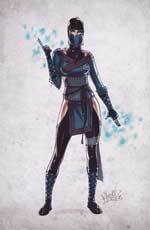 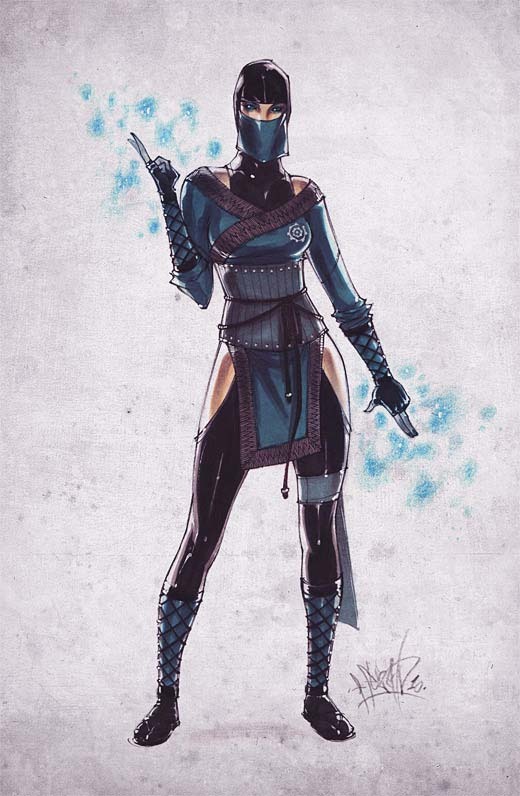 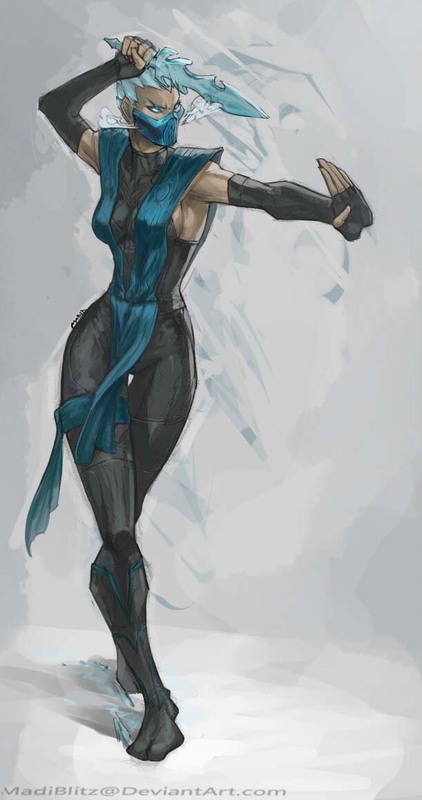 Frost is a cyromancer similar to Sub-Zero and joins the Lin Kuei Clan, she becomes the strongest student of Sub-Zero and is trained by himself. 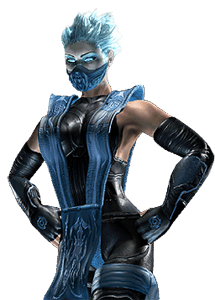 He takes her to the battle against the two sorcerers Quan Chi and Shang Tsung while she has her own interests in becoming the Lin Kuei Grand Master herself. 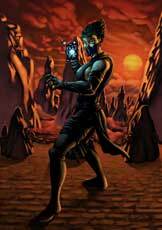 It is unknown if she is dead or might return in Mortal Kombat X (2015) maybe.